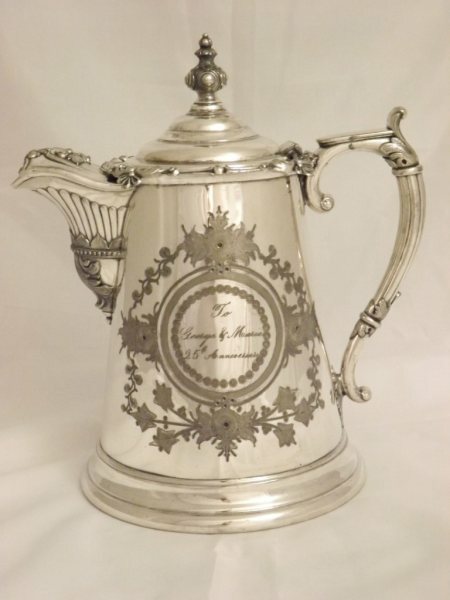 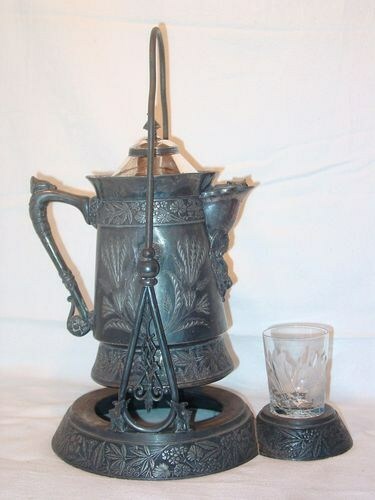 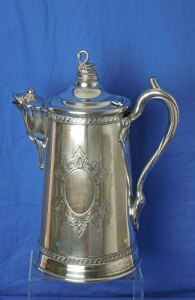 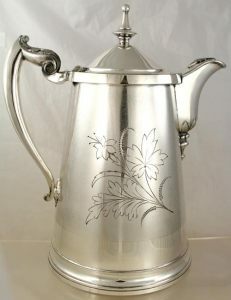 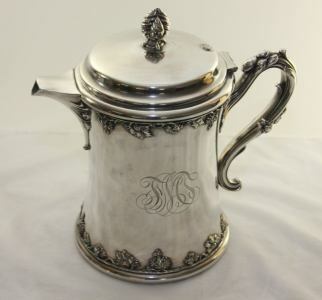 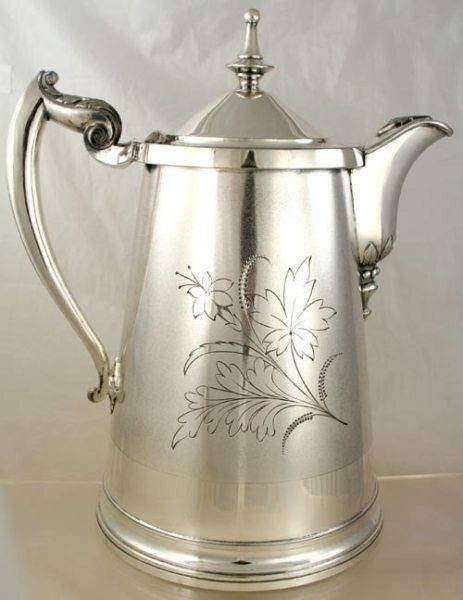 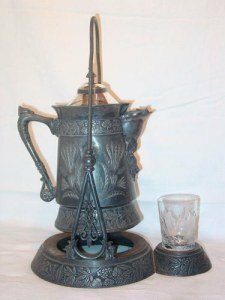 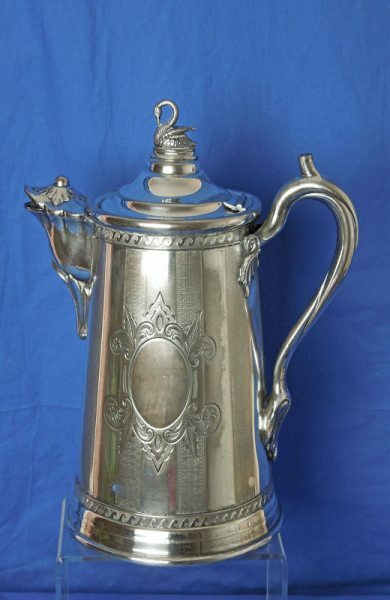 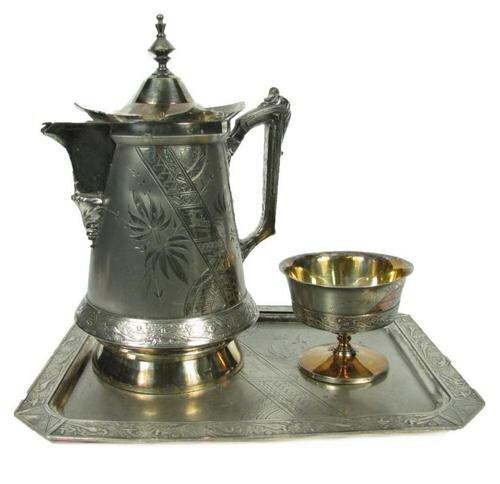 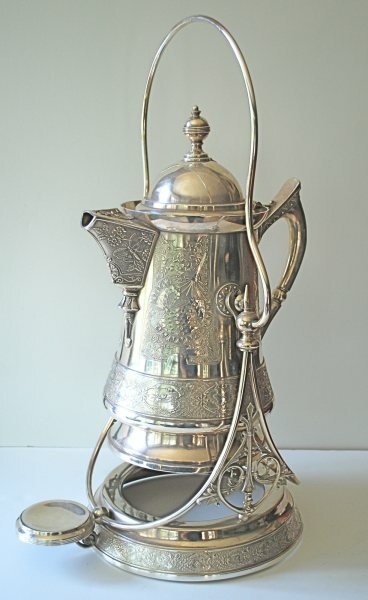 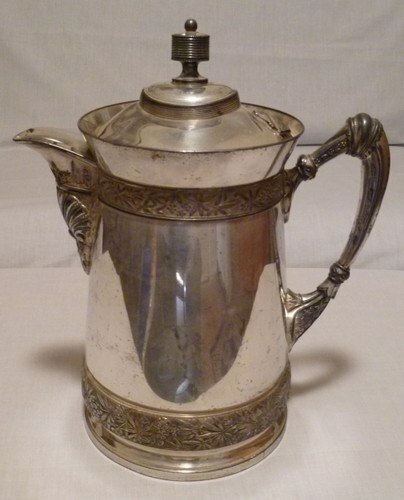 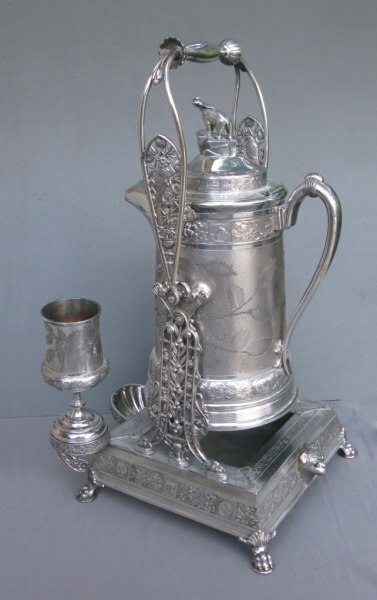 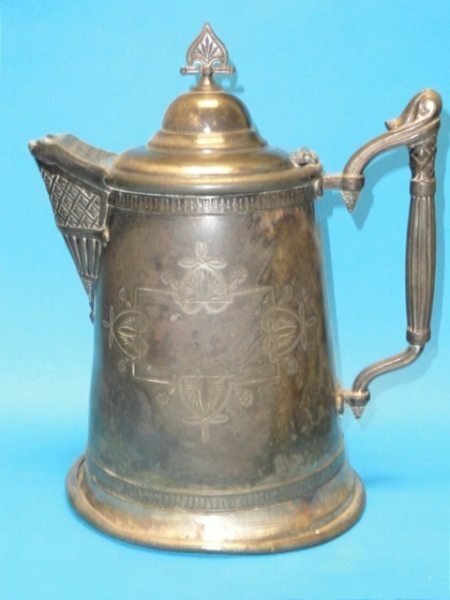 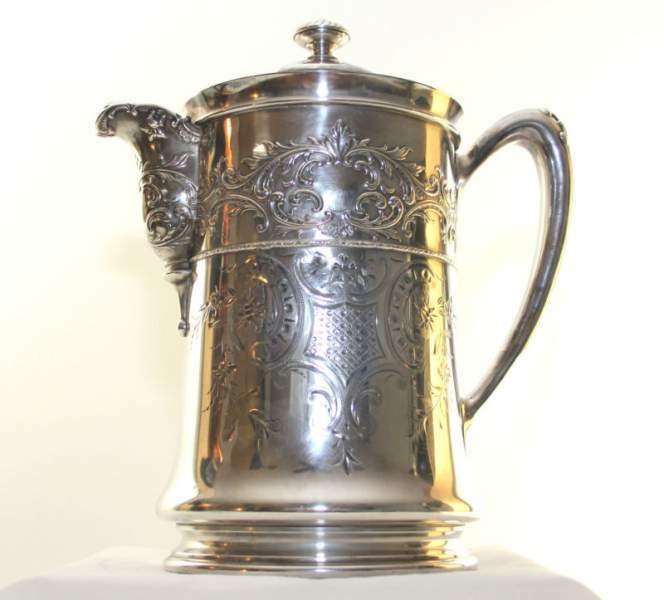 The ice water pitcher is a typical device of American Victorian silverplate. 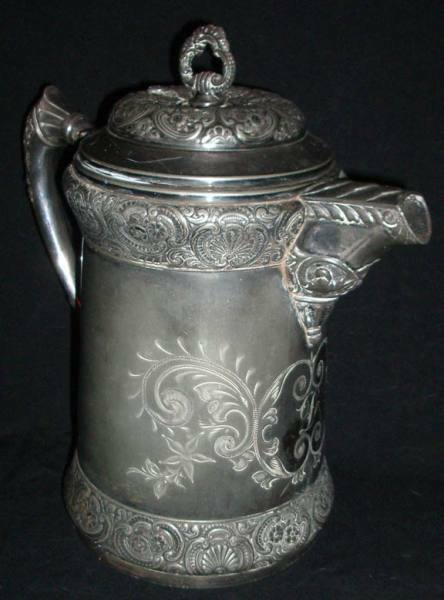 It was used to maintain cold water drink before mechanical refrigeration outmoded its use. There were many different styles of these pitchers. The early ones had straight sloping sides (similar to old- fashioned coffeepots); later ones were mounted on tilting racks. 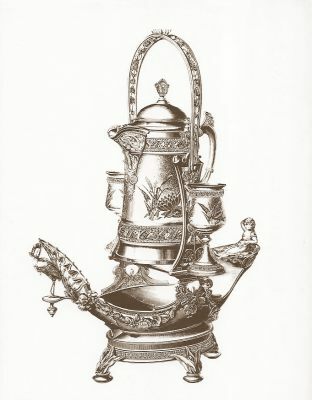 The tilting device permitted to pour water without being compelled to lift the (heavy) pitcher, and, in some cases, was constructed with a base forming a tray for holding goblet and for catching the water that condensed and dripped outside of the pitcher. Ice-water pitchers had an inner lining with a space between it and the outer body to grant the insulation. 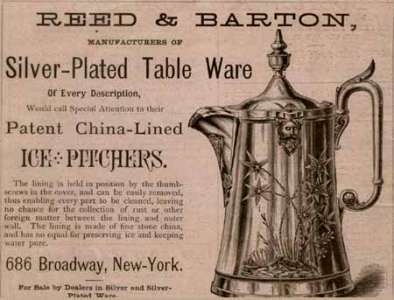 Several patents were issued to protect the system adopted for insulation. 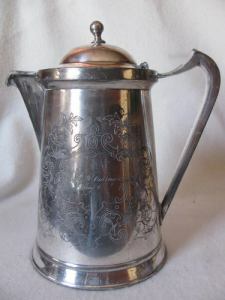 The first one was granted to James Stimpson, acting as executor of his father James H. Stimpson. 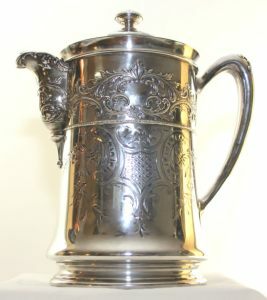 This patent was used on a royalty basis by manufacturers. Another patent was sold in 1868 to Horace C. Wilcox, acting for Meriden Britannia Company. Ice-water pitchers were always an expensive article but their popularity is testified by the variety of styles advertised in manufacturers' catalogs. 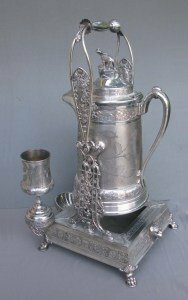 In their heyday, ice-water pitchers were used for presentation as awards and to honor famous personages and their popularity lasted from the 1850s until 1900, when their demand practically disappeared.